beveling glass (including mirror), and fused and painted glass. 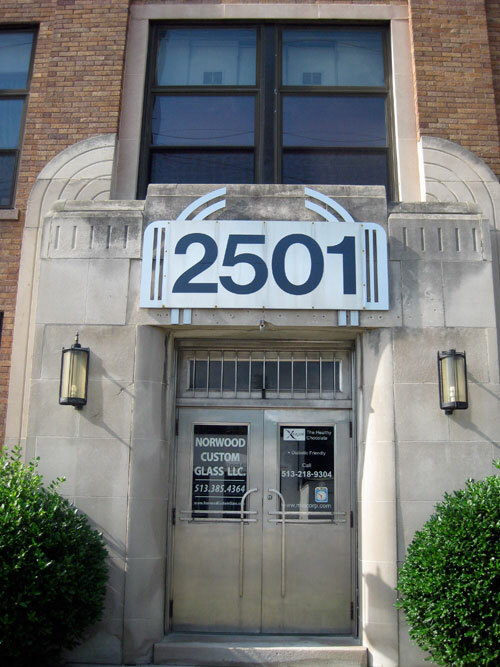 This is Norwood Custom Glass, located just on the North side of Cincinnati, Ohio. I absolutely love the Art Deco styling of the building. 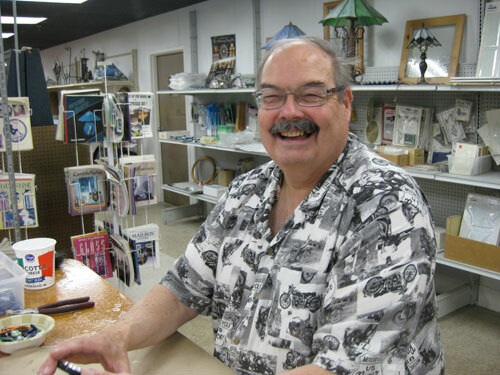 I visited Norwood Custom Glass in June for a No Days Road Show and was amazed by the studio set-up. 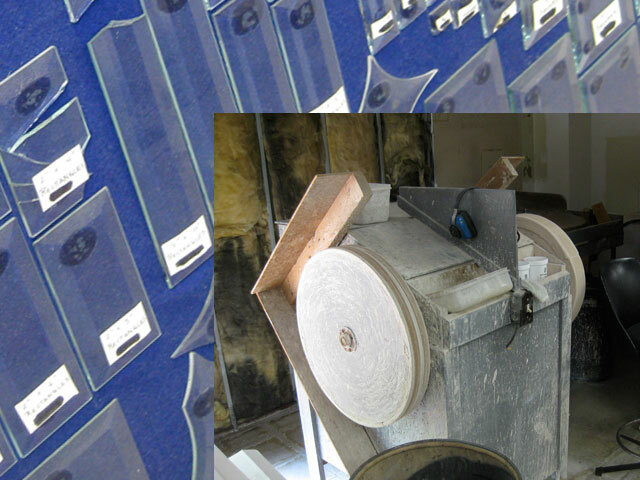 There’s such a large inventory of glass, patterns, tools and materials! Stan Sabick gave me a quick tour of the building. They’re located next to a doggie daycare and recently moved upstairs so the dogs had more room to play. That’s not to say there’s not plenty of room for playing with glass, though! mirror by creating a bevel. For our No Days Road Show visit, we played with No Days Groutless Mosaic Adhesive in the morning to create instant mosaics. After a one hour session, the students left with finished mosaic coasters. In the afternoon, we had another session of mosaic making, but this time the students created mosaic coasters using No Days ThinFuse, fusible glass and frit for grout. 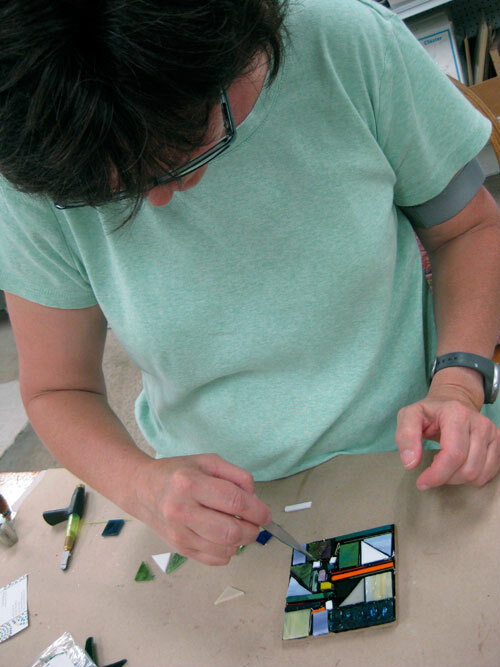 Norwood Custom Glass offers a full line of classes ranging from beginner to advanced classes. 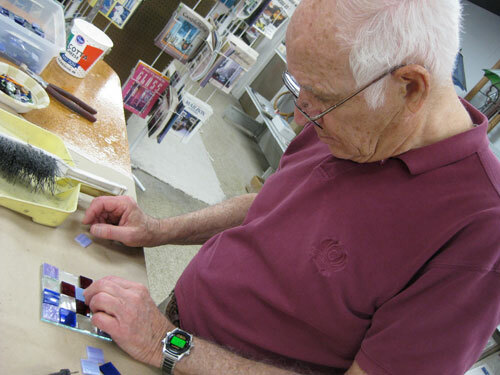 These include stained glass, fused glass, mosaic, and etched glass classes, as well as many workshops. Norwood Custom Glass has the tri-state (Ohio/Kentucky/Indiana) area’s largest inventory of in-stock stained glass and supplies. And it’s set up beautifully with lights behind samples of glass in every color and pattern imaginable. So, you can quickly (Ha! Is there such a thing?!?) 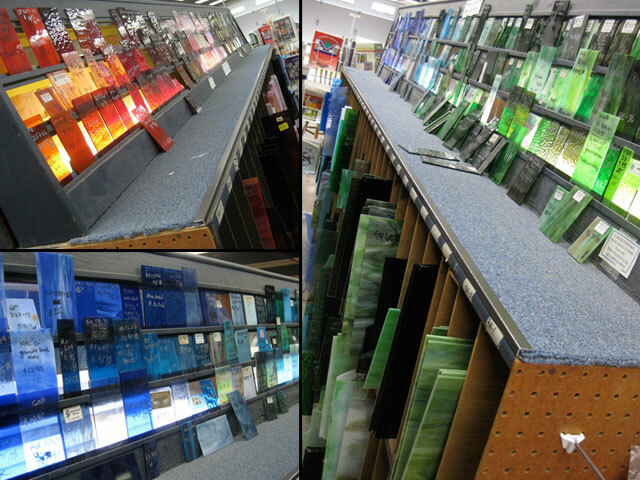 find just the right piece of glass for your next stained glass project. Find Norwood Custom Glass on Facebook. Wow! I want to try this stained glass! Can you teach me how to make stained glass? I love to learn how to do it! 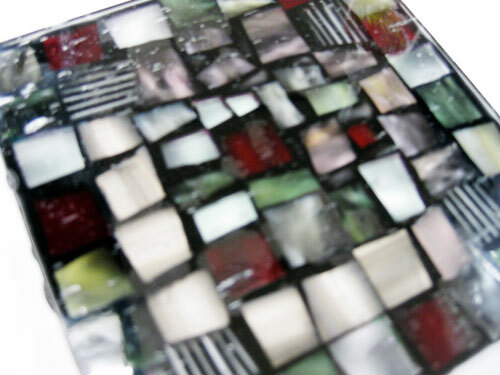 Glass Patterns Quarterly (an art glass magazine) has also begun hosting online classes. Denny Berkery just taught two stained glass classes recently )https://www.glasspatterns.com/calendar-of-events/icalrepeat.detail/2012/11/13/1214/70/glass-expert-webinar-the-copper-foil-method-beginning-stained-glass-with-denny-berkery.html). You may want to keep an eye on their schedule. Nice! Stained Glass Mosaics are surprisingly easy to start making. The craft is much easier to learn than traditional stained glass and yet the results can be equally as stunning. Oh my, those are huge glass collection, just like the library.